The Liberal Arts Action Lab announces its first cohort of five research teams, which will begin working together in the Spring 2018 semester. Each team consists of a Hartford community partner, which proposed the research question, along with a faculty fellow and 3-5 students from Capital Community College and Trinity College. Together, all 20 students will participate in the LAAL 200 Action Research Methods course on Monday afternoons, then carry out their team research projects on another weekday afternoon, in classes supervised by the Lab Director, Professor Megan Brown. 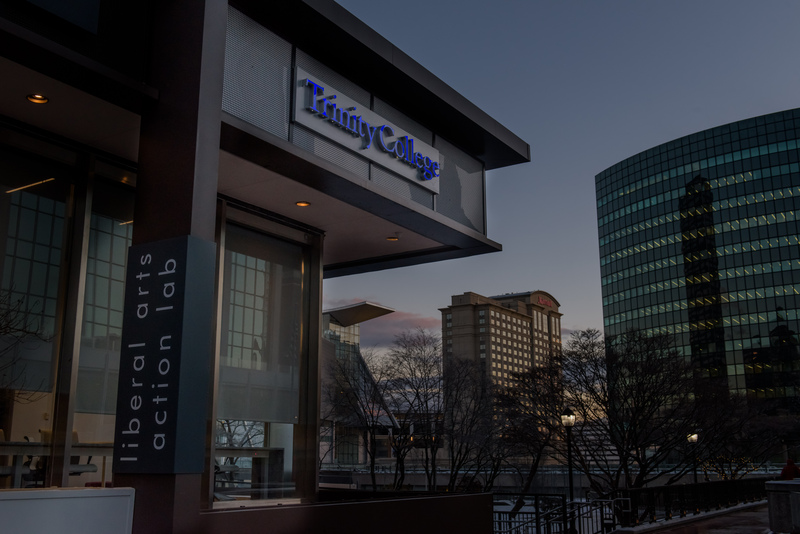 The Action Lab is a partnership between Capital Community College and Trinity College, and will open in January 2018 at 10 Constitution Plaza, Trinity’s new downtown Hartford campus. For its inaugural cohort, the number of applicants exceeded the number of available spaces. Overall, 11 community partners submitted proposals, which were prioritized by the Hartford Resident Advisory Board, then matched with students and faculty to create 5 research teams. In addition, 15 people applied for the 5 faculty fellow positions, and 40 students applied for the 20 available seats. 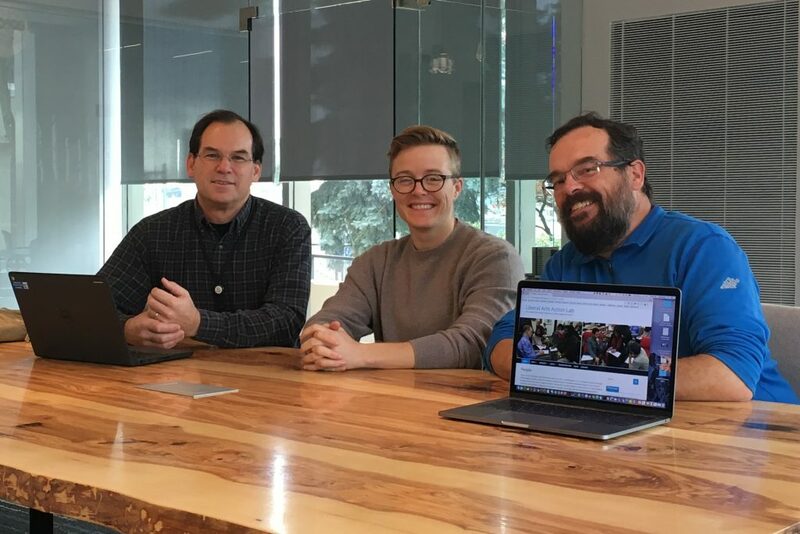 Jeff Partridge (CCC Faculty Director), Megan Brown (Action Lab Director), and Jack Dougherty (Trinity Faculty Director) matched applications to create Hartford research teams. Photo: Amanda Hausmann. Students will learn about the eviction process in Hartford and work with the Connecticut Fair Housing Center to design and implement a survey project. Students will investigate how Hartford residents came to face eviction, their experiences with the eviction process, and the immediate and long-term ramifications of their evictions on their families. Students will learn GIS mapping tools that will allow them to investigate the connection between housing conditions and health outcomes. Working with Community Solutions, students will then use GIS data and results from a blight survey to produce interactive maps. Community Partners: Kathy Del Beccaro and Nadia Lugo, Community Solutions International, Inc.
Students will learn about an important component of local governance in Hartford: Payment in Lieu of Taxes (PILOT), which is a program that address the budgetary problems that the city of Hartford faces because a high percentage of the city’s land parcels are owned by government or nonprofit institutions and are therefore not subject to taxation. By producing and testing a variety of messaging products, students will study which messaging strategies are best at convincing non-Hartford residents to support full payment of PILOT funds. In this project, students will take a close look at the Nook Farm area of Asylum Hill (which includes the Mark Twain House, Harriet Beecher Stowe Center, and Hartbeat Ensemble’s Carriage House Theater), connecting the historical significance of this site for creative and intellectual pursuits with current studies in “creative placemaking”–development projects that leverage the power of the arts, culture, and creativity to serve a community’s interest while avoiding gentrification. Students will create an “asset map” for the neighborhood to help arts organizations leverage the unique strengths of the area. Students will learn best practices for engaging immigrant and refugee parents on topics related to their children’s education. Working with the Hartford Public Library’s Immigrant Youth Project, students will research current immigration and refugee settlement patterns throughout Hartford and work with HPL staff on engaging program participants’ parents and guardians in dialogue around goals and objectives. 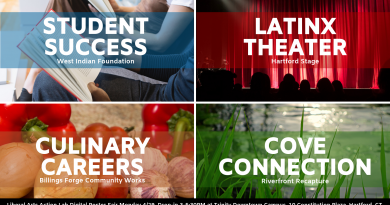 The Action Lab plans to announce a second round of Hartford community partner proposals in January 2018, followed by faculty and student applications in February 2018, for teams that will begin working together in Fall 2018. To learn more about the process, visit the Action Lab website or contact Director Megan Brown.